Mention this website special when you call and save money! Have us check out what’s behind the panel cover! Many panels are in need of a thorough inspection. Are your lights flickering? Do you have receptacles that work than stop working? Water can get into panels and cause problems. The breakers may not be the correct size for the wire attached. The heat can build up and start to melt connections! 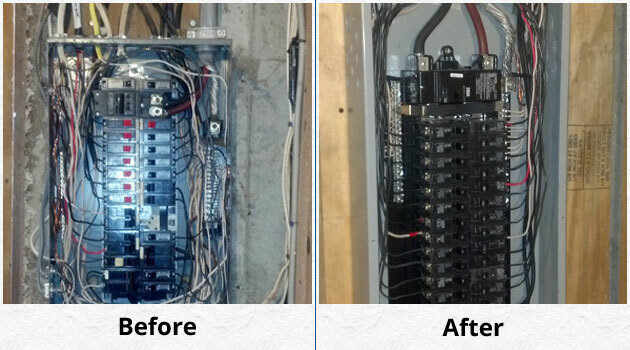 Too many wires can be on one termination point. 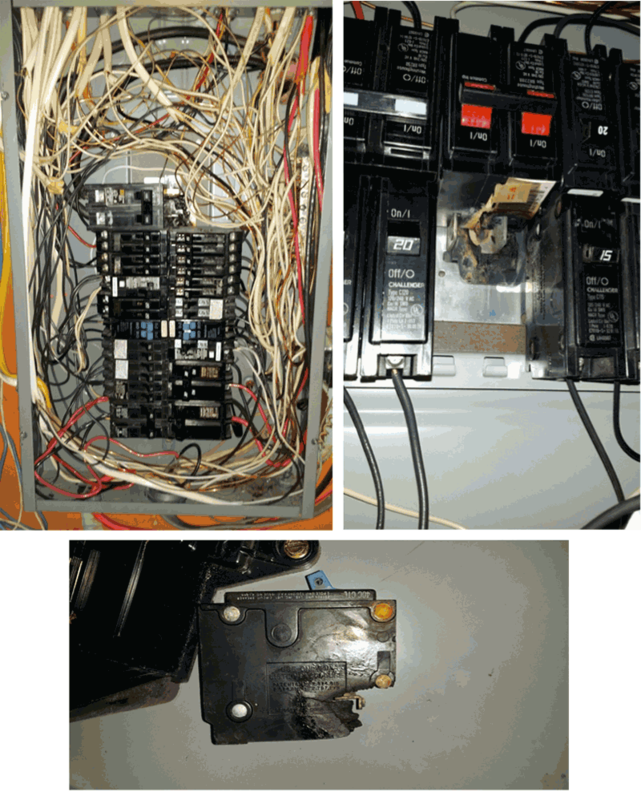 We will inspect all connections, exam each breaker, verify proper breaker/wire gauge and check proper grounding. If we find problems that need more work, we will let you know what needs to be done. Here are some examples of what we found.